1) Preheat the oven to 180°C. Place the eggplant on a baking tray and brush with oil, season with salt and pepper, then roast for 20-25 minutes until soft. Set aside to cool. 2) Combine the lentils, sun-dried tomatoes and oil, marjoram and vinegar, then set aside. 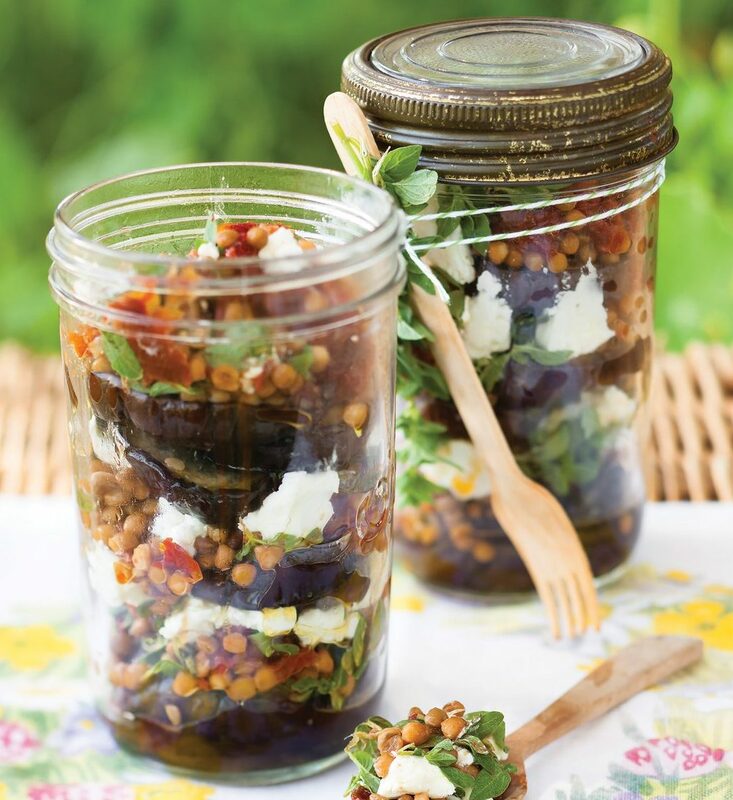 3) Stack the eggplant into 4 jars, alternating the layers with the lentil mixture and crumbled cheese. 4) Seal and serve at room temperature. For more picnic inspiration from good magazine, try our perfect picnic loaf recipe or make a batch of picnic pesto penne.